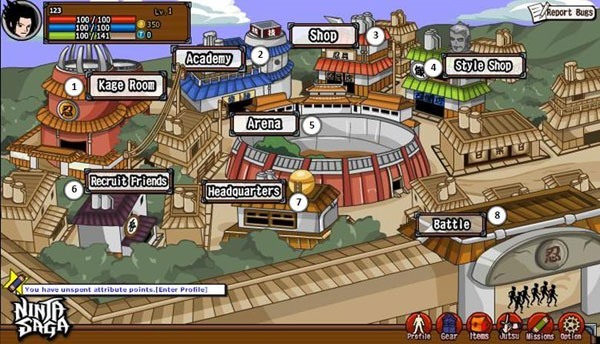 Where you can engage in missions, start a quick practice battle with enemies, challenge your friends, and practise in real-time with fellow ninjas. 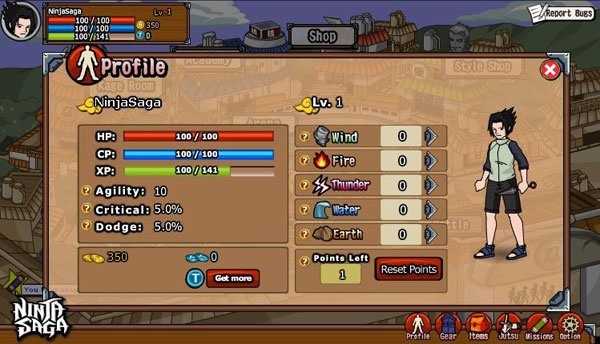 Character's stats, attributes and wealth are shown. Where you can invest / reset your attribute points. 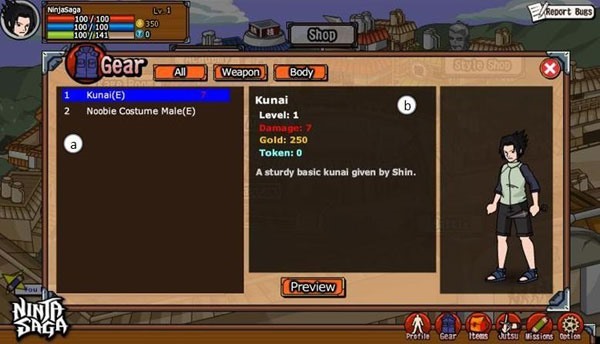 Should you encounter any in-game problems, don't hesitate to click "Report Bugs" and send us your questions.